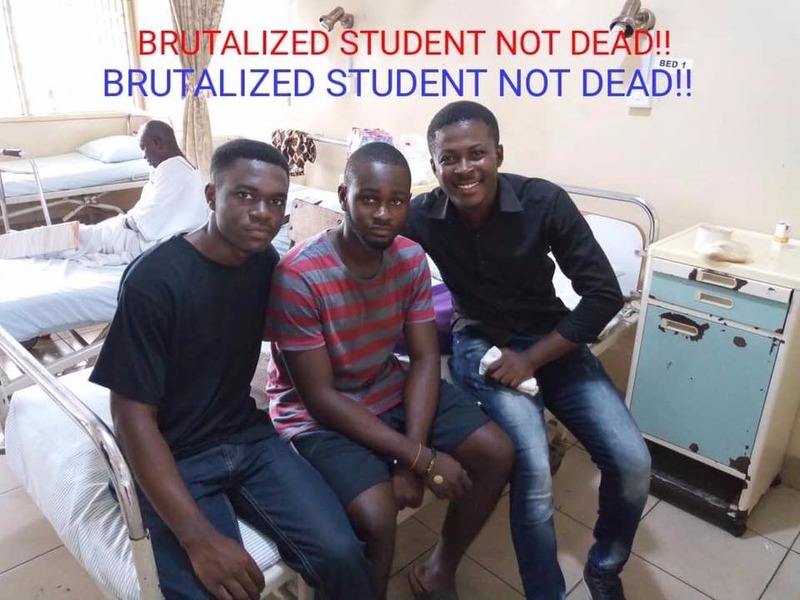 The Kwame Nkrumah University of Science and Technology (KNUST) student who was allegedly assaulted by the school’s security is alive and well. 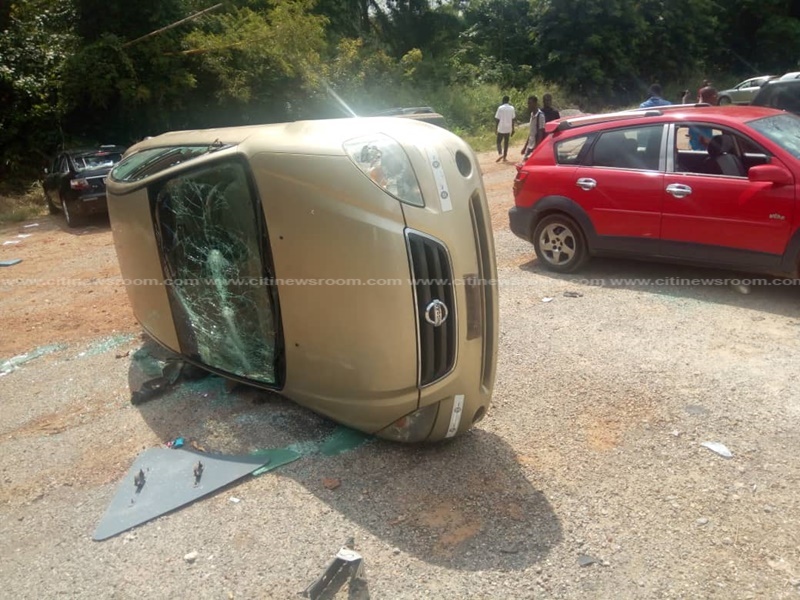 There were suggestions the student had died at the KNUST hospital from his injuries following the alleged incident. 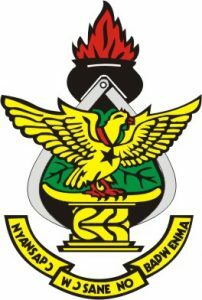 But the management of the KNUST hospital denied those claims. The student is also likely to be discharged later on Monday, according to hospital management. 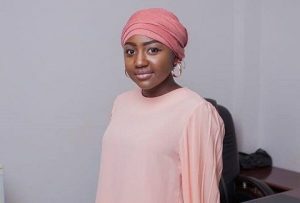 The alleged assault occurred when some students had gathered for a vigil, against the regulations of the school. Ten other students were arrested after the vigil along with an old student of the school. 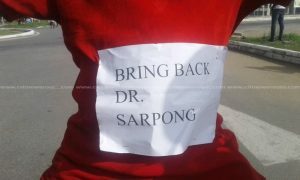 The arrests compelled the Students’ Representative Council (SRC) to organise a protest on Monday morning. They said the KNUST authorities were abusing their authority and also complained about abuse by campus security personnel. 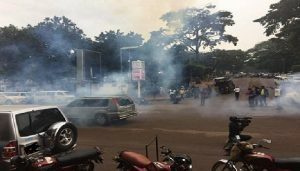 But the protests turned violent when some students attacked some school properties, staff cars and a police post. 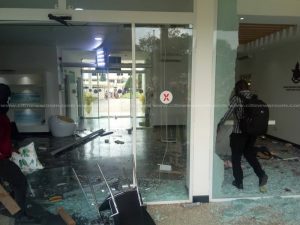 The administration block of the school was overrun by students and heavily vandalized. 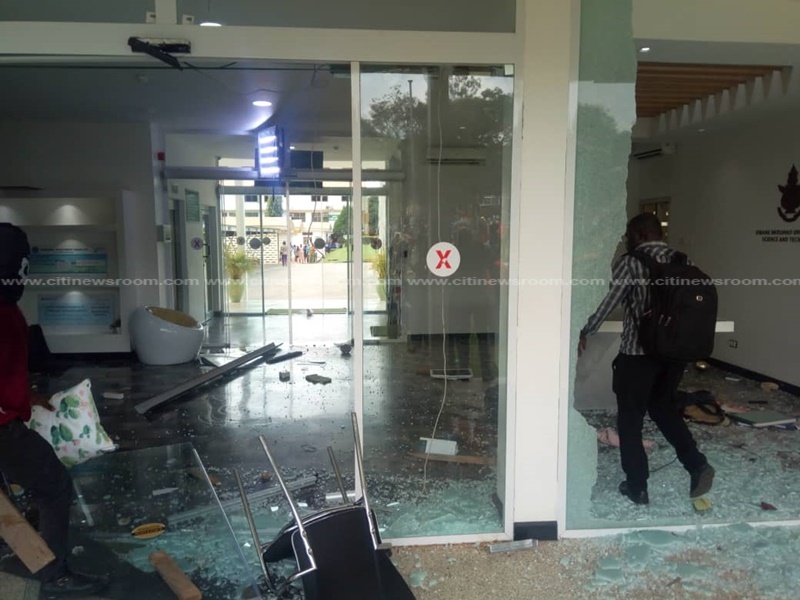 The vehicle of the University’s Dean of Student’s was also vandalized by the demonstrators. Police and military personnel had to be deployed to ensure order on the campus.